I like art. It makes me feel something. I will often visit an art gallery or two when I hang out in cities. 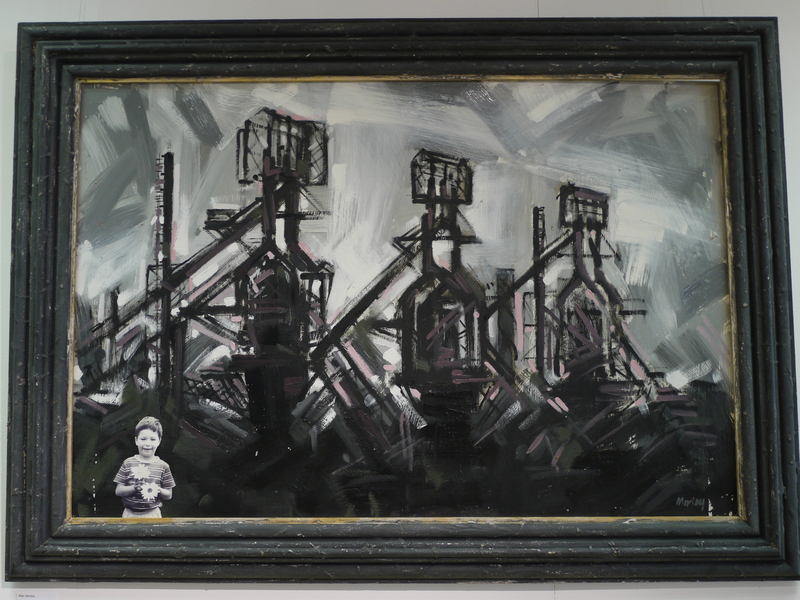 I rarely go to see art in Teesside so last week I decided to go on a bit on art crawl. I put a call out on facebook for suggestions and was inundated with responses. I didn’t realise we had so many creative places to go and see. I realised quite quickly I couldn’t do it all in one tour so I prioritised smaller galleries. Next time I will visit larger places and art in public spaces. My first destination was The House of Blah Blah. I like this space. It’s cocky, confident, young and cool – a little like it’s owners, Bobby and Keren. 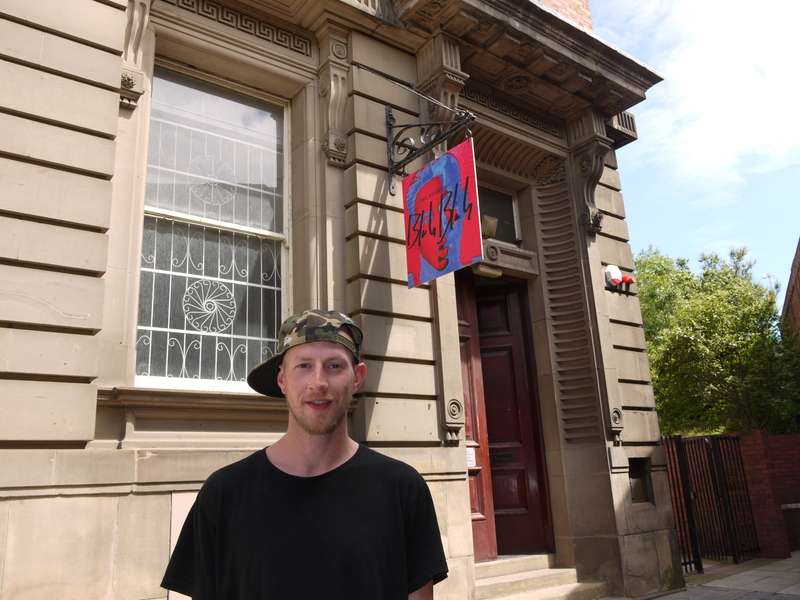 After a few years of putting on arts events in unusual places the pair of them took over the old post office, a Grade ii listed building near the train station in Middlesbrough. 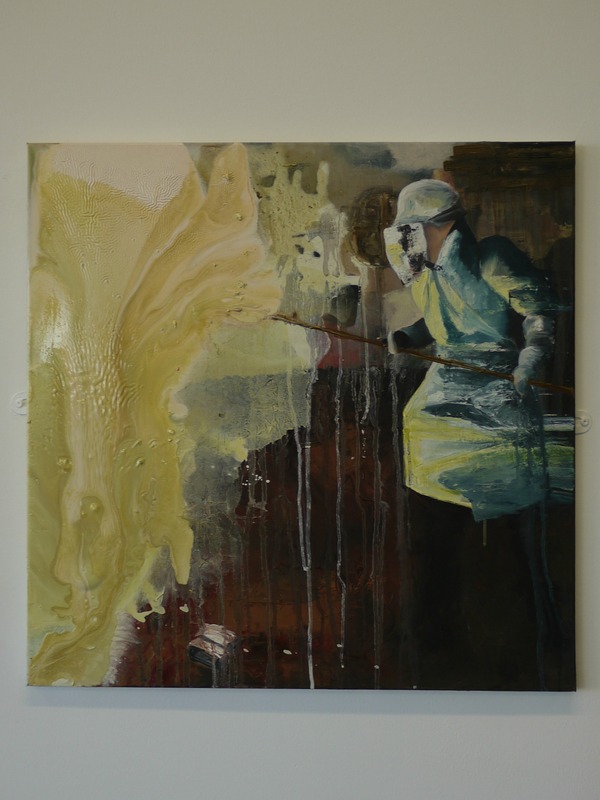 Bobby has some of his own work alongside emerging Teesside artists so well worth a trip. After this I popped in to Platform Arts. What’s fab about this space is it’s on a rail platform. It’s a little bit finding Harry Potters platform 9 ¾ at Kings Cross. At the end of platform A at the top of Middlesbrough train station, you will find a secret gallery and hive to 14 local artists. 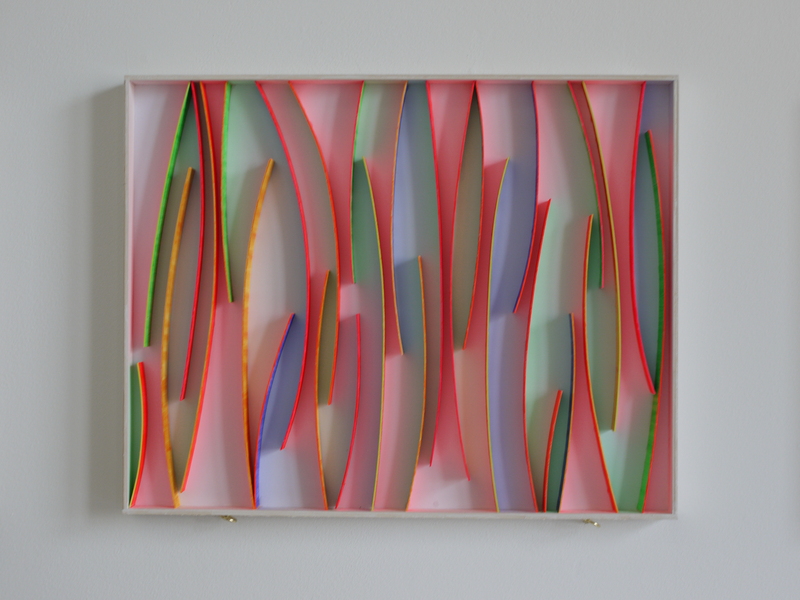 There’s usually a high quality selection of cutting edge contemporary art to go and see and even buy. So next time you’re at Middlesbrough train station, get yourself there. Next up was Python Gallery which is just round the corner. Python are amazing, they’re a property company that do up old buildings and alongside very cool office space, they plonk an art gallery inside. I saw two of their galleries and I was really impressed. Python Gallery were displaying a local artist called Alan Morley and if you haven’t been to see his work, I highly recommend you do. He is an outstanding artist. 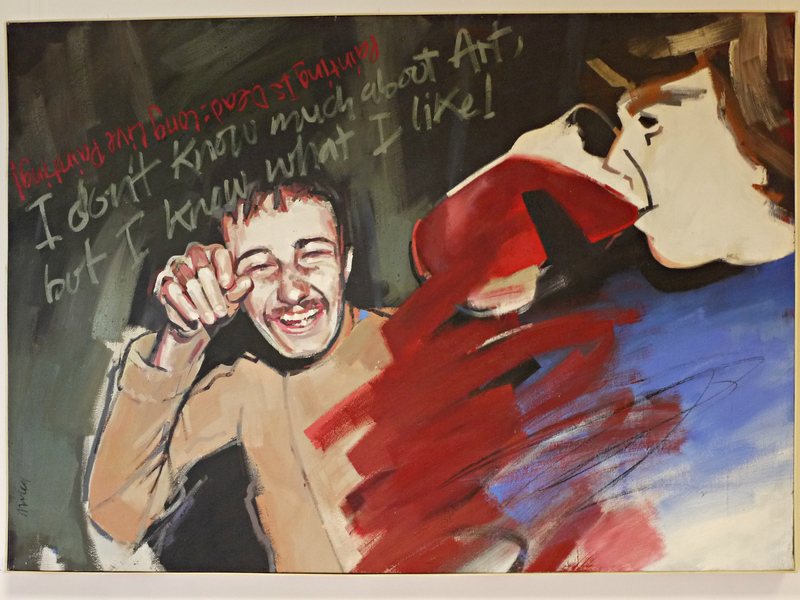 His pieces are clearly influenced by Middlesbrough culture, they are clever, witty and edgy. Sometimes thought provoking, other times just really aesthetically pleasing. His pictures moved me. 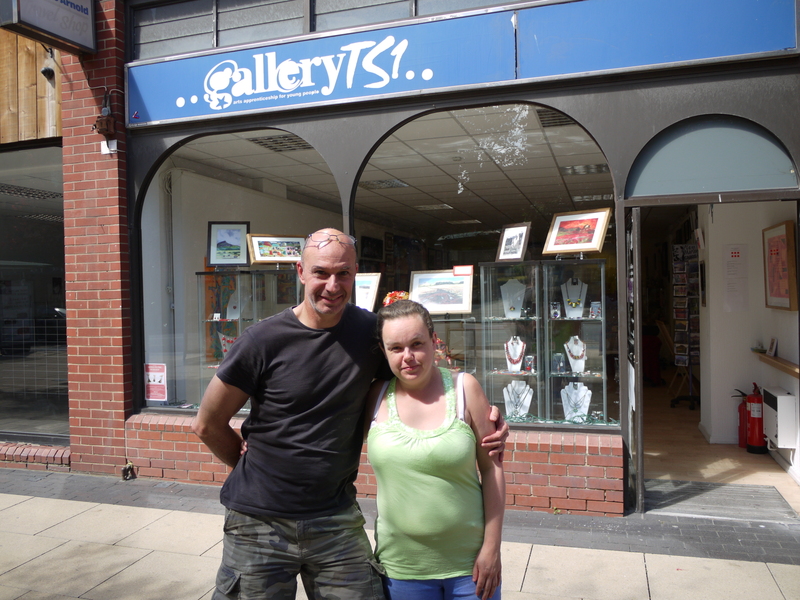 Amazingly, I then got to meet the artist himself when I got over to Gallery TS1 on Corporation road. Gallery TS1 hosts a collective of local artists and makers, who work together to run this space. There’s a wide variety of art work on offer, from 17 different artists. It’s well priced and if you think you could never afford to buy real art, then think again, there are pieces of all price ranges and you are assured to pick yourself up a bargain. I briefly visited Python’s second venue, The Heritage Gallery where I was impressed with the eclectic collection by Marget Smith. 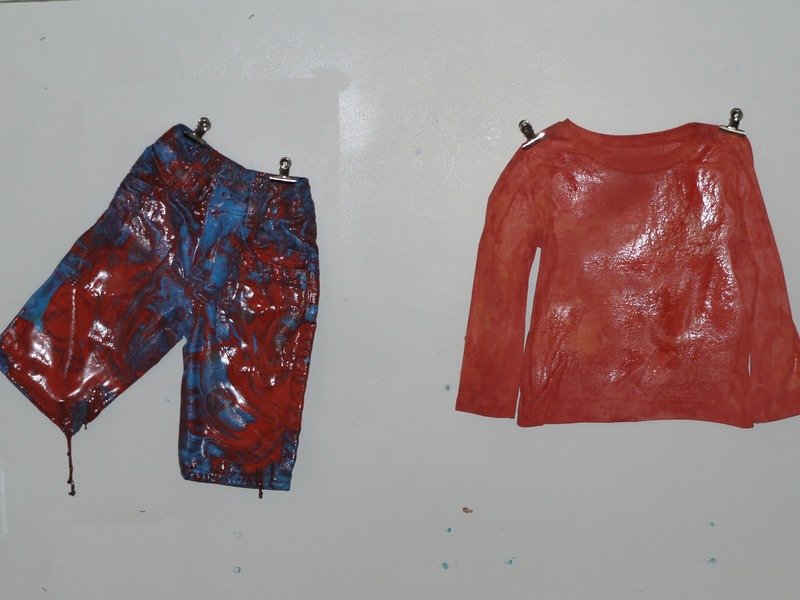 She produced some beautiful pieces and proves you don’t just have to have one arts practice. I then made my way to Palace Arts. This was the gallery that most tempted me to buy something. I love art influenced by industry and there were a few of those type of pieces here. What’s most special for me about Teesside’s art scene is that you never know when you will find someone like Jeff Noble. Jeff was a high voltage electrician for many years until ill health changed his life direction and he now makes sculptures from scrap. His work is clearly inspired by his industrial background, turning for instance scrap metal into a sculpted rose. Palace Arts gallery is definitely living up to it’s vision as being a destination gallery and I for one, will be back (hopefully to buy a Noble piece). Last up was Saltburn Studio’s. This was my favourite place because all the work in the gallery is produced by the 16 artists who work in the studio’s above. You can even go and see them at work (which I did) which was brilliant. The gallery had something for everyone at a variety of price ranges. I had such a brilliant few days discovering these wonderful places. 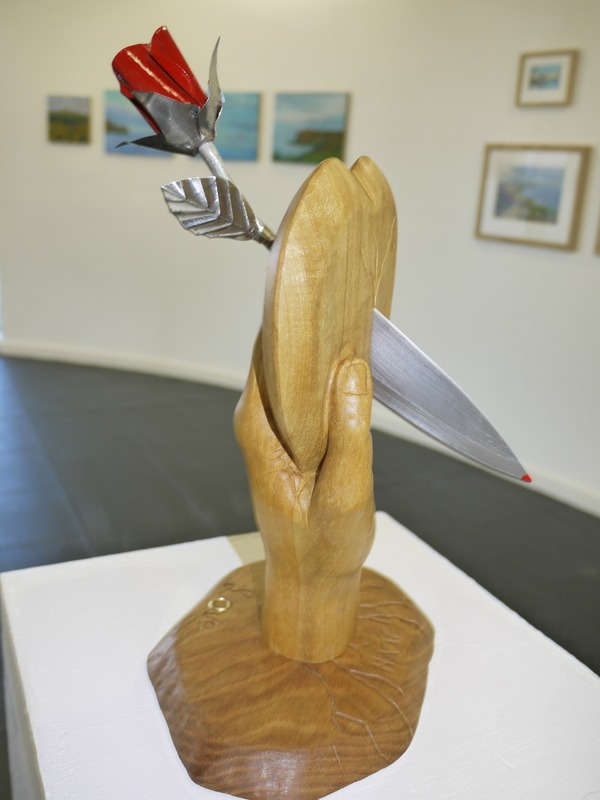 The artists need us to support them though so they can keep going and so I hope you may be inspired to go and visit and support our local artists communities. I can not beleive you went to Python Gallery and not ventured to the up stairs gallery to visit Andrea Wells exhibition, you missed a treat there. The large room with vistas across Middlesbrough house at present beautiful abstract works from a fusion of gloss paint. The exhibition is running on until mid August, a must to visit.